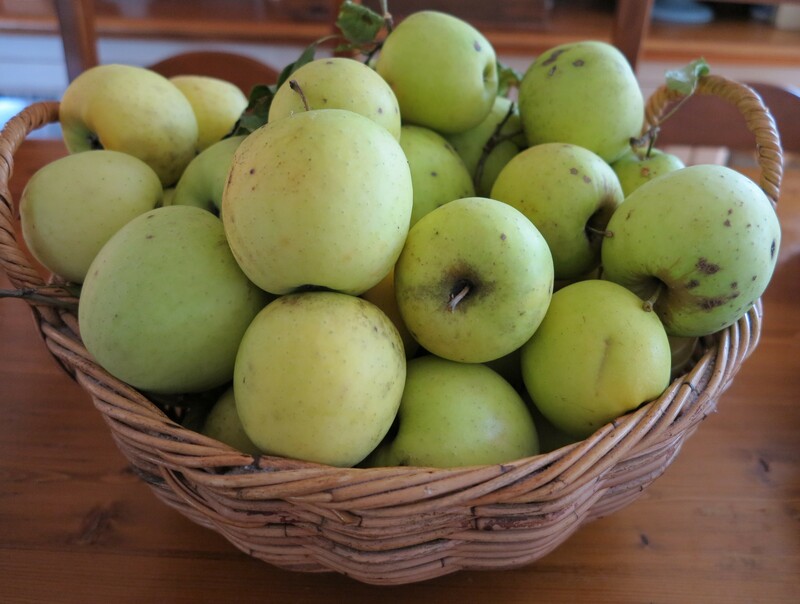 I know it’s not crochet but I’m so proud of the generous crop from our golden delicious apple tree here at Dove Cottage. Purely organic, grown with love rain sun and worm wee, they are a sweet juicy delight to crunch your way through. Note the lovely golden delicious apples modelling in the bag. Job well done from the apples I’d say – they look great and taste great! This was a super easy project to make, big thanks to the Purl bee for the great pattern. It squishes down to a reasonably small size to stuff into your handbag – I imagine I’ll be keeping mine handy in the car for those quick stops at the supermarket I seem to be doing way too often of late. Think I might make a few as gifts and adorn with some pretty flowers to give them a little personality…stay tuned! 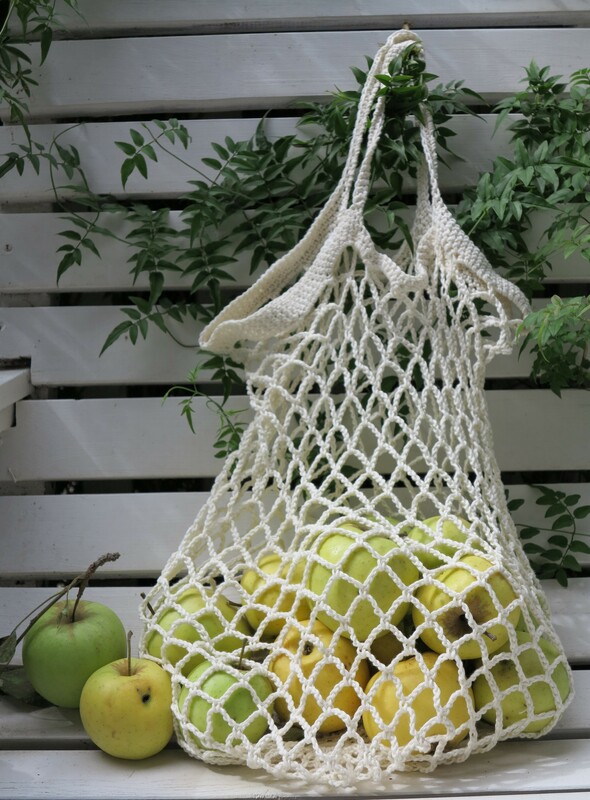 This entry was posted in crochet and tagged 100% cotton, carry (your own) bag, crochet, dove cottage, golden delicious, organic apples. Bookmark the permalink.